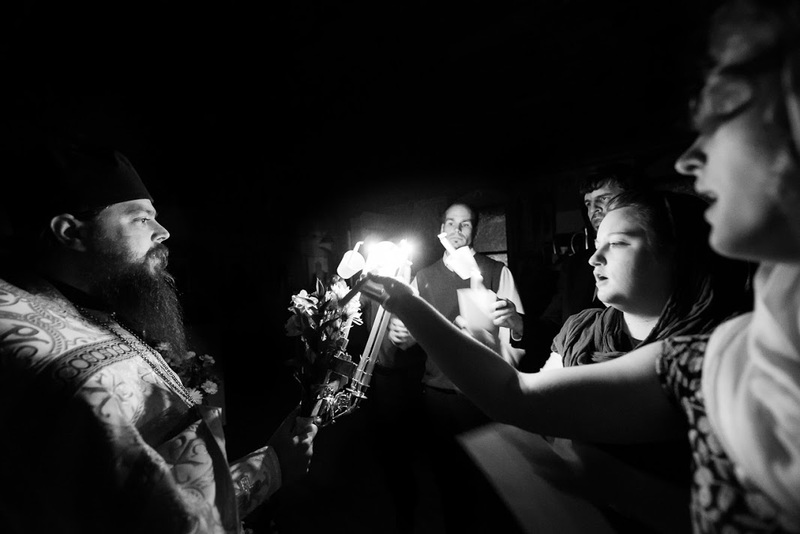 hrist the Savior Orthodox Christian Church is a growing, vibrant community of Orthodox believers located in Wayne, West Virginia. Our church was founded in 2002 in association with the Hermitage of the Holy Cross, which is located less than 10 miles from our convenient location on Route 152, about 15 minutes south of Huntington, West Virginia. We are a parish of the Russian Orthodox Church Outside of Russia within the Eastern American Diocese. Services are conducted primarily in English with some Slavonic. Our pastor is Fr. Jonah Campbell, who has served Christ the Savior Church since September of 2011. Our mission is to pursue the union of our souls with Christ our God, Who deigned to condescend to humankind through His Most Holy Birth, Life, Crucifixion and Resurrection in order to free us from our passions. We warmly invite you to come and experience our Life for yourself. …if at the time of our Lord’s passion He willingly endured many insults with forbearance, and accepted suffering voluntarily for our sake when it was in His power to avoid it, this acceptance of suffering for the good of others is a sign of extraordinary compassion and the highest glory.